Girardin Gueuze 1882, sometimes known as “Black Label,” is one of the most elusive Gueuzes on the market. Less than 300 cases of it made it to the US this year. It was just released across the United States. Girardin only exports around 10% of their product while most of it stays in Belgium. Even then, a lot of their production is not dedicated to the Black Label 1882 Gueuze. 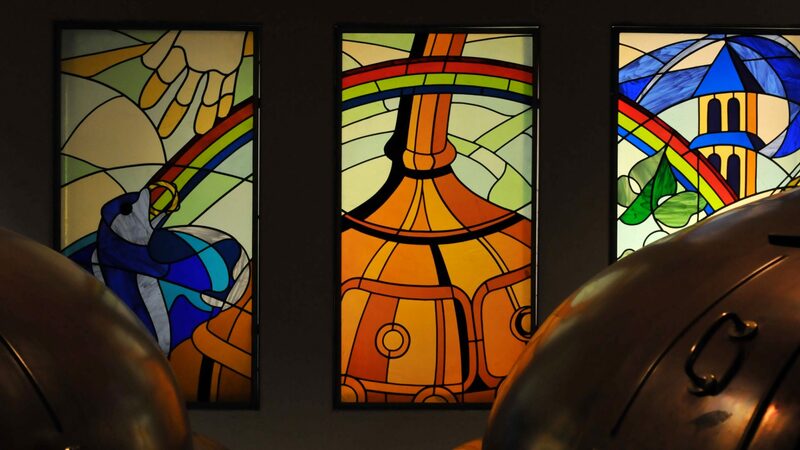 The majority of their production is sold as wort to blenders such as Tilquin, De Cam, Hanssens, & 3 Fonteinen. Additionally, they make a White Label Gueueze (filtered and force carbonated), a faro, a framboise, & a kriek. They also sell a lot of bulk lambic for cafe’s. And to prove that bottom fermenting can exist along side spontaneous fermentation, they brew a pilsner called Ulricher. The Giradin have been making beer since 1882 when they acquired the farm and its small brewery. For most of the history of the family business, the farm has been the primary focus for the family. It’s only been in recent decades that the brewery has become more prominent. Despite this increase in focu, the Girardin family is renowned for their secrecy and almost never allow anyone into their brewery. I tried and didn’t succeed…yet! This secrecy almost kept them out of HORAL, the trade organization for Lambic producers. They however relented and allowed officials in so they could obtain the protections and right to have their product labeled as authentic products. Appearance: Light haze, tarnished gold, beige head, ok retention. Aroma: Funky, lime peel, dirty straw, hay, lemon, white grapes, citrus zest, lemon juice. Taste: Dirty, funky, lemony, zest, juice, white grapes. Overall Impression: Girardin is funky, tart, fruity and balanced with a medium finish. Girardin is one of the lesser known and talked about lambic producers of Belgium. But chances are you’ve drunk their beer as used in one of the many highly sought after and talked about Gueuezes made by a blender that uses their beer. If you get a chance, pick up a bottle while they’re still on the shelves. It’s funky, rustic, complex, and super tasty. Availability: Highly limited. It’s a one time release in winter. Imported by D& V International. Note: The vintage date isn’t printed on the label. It’s printed on the cork.